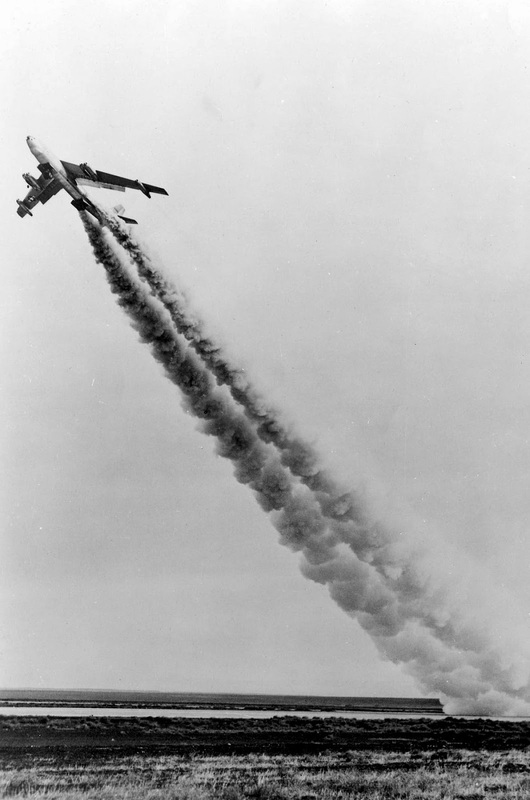 The Boeing B-47 was the country's first swept-wing multi-engine bomber. It represented a milestone in aviation history and a revolution in aircraft design. 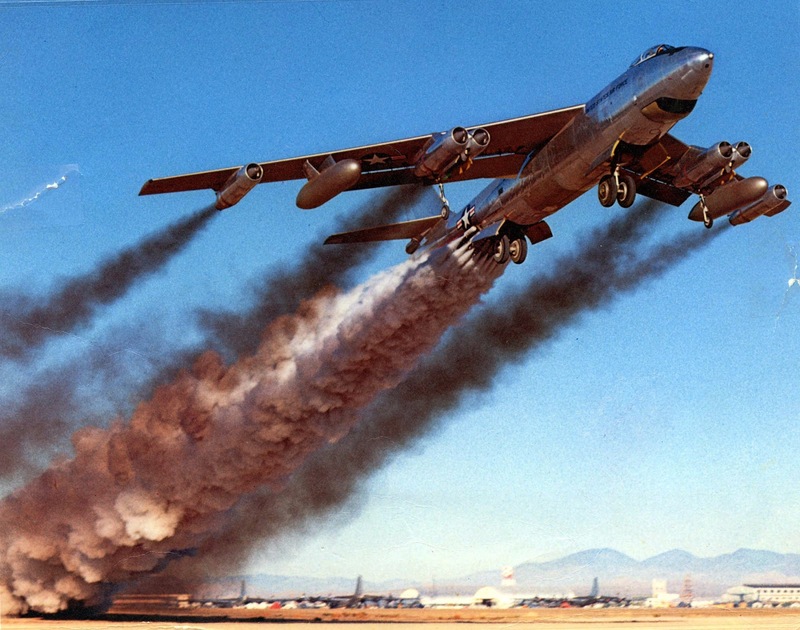 Every large jet aircraft today is a descendant of the B-47. Boeing engineers had envisioned a jet-powered plane as early as 1943. However, wind-tunnel tests of straight-wing jet aircraft indicated that the straight wing did not use the full potential of jet-engine power. Near the end of World War II, Boeing aerodynamicist George Schairer was in Germany as part of a fact-finding mission. At a hidden German aeronautics laboratory, Schairer saw wind-tunnel data on swept-wing jet airplanes and sent the information home. Engineers then used the recently completed Boeing High-Speed Wind Tunnel to develop and design the XB-47, with its slender 35-degree swept-back wings. A pod containing two General Electric J-35 engines (GE J-47 engines for all production models) hung from each wing inboard, and a single engine hung farther out. The weight of these six engines made the wings droop. 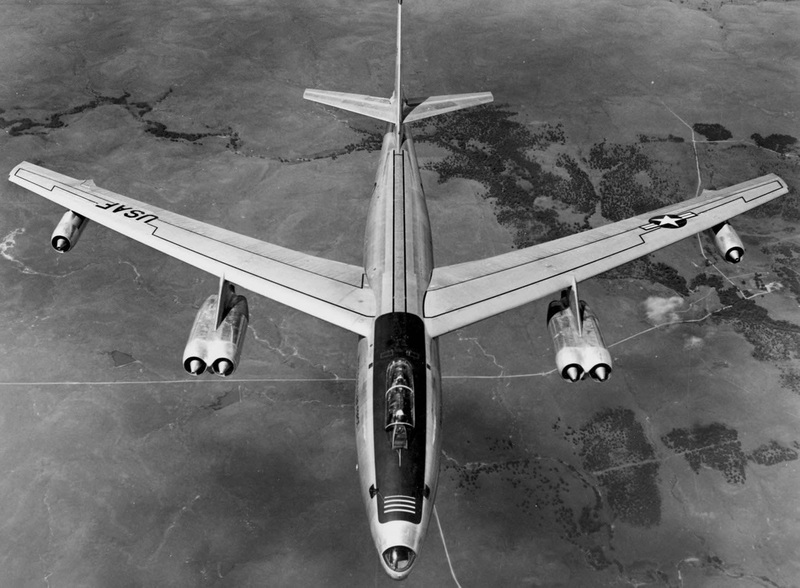 B-47 had tandem bicycle-type landing gear under the front and back sections of the fuselage. Small outrigger wheels on the inboard engines kept the airplane from tipping over when it was on the ground. 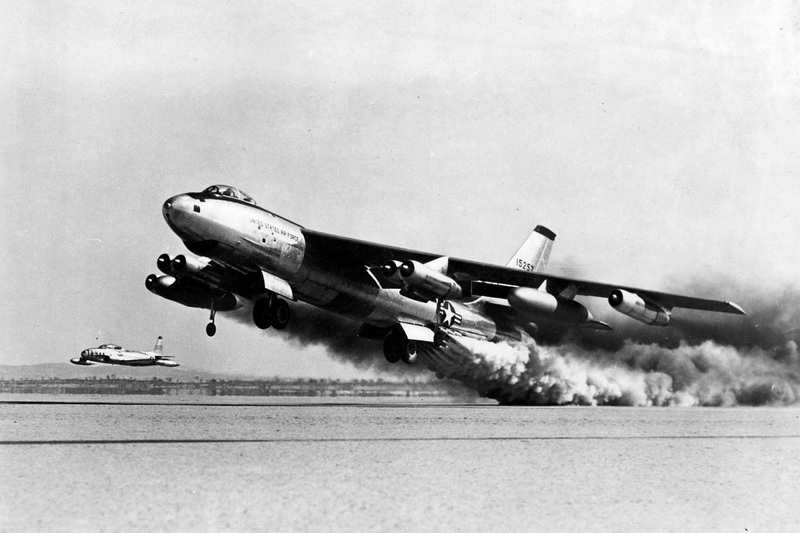 Because early jet engines could not provide enough thrust for takeoff, the XB-47, B-47A, and B-47B had 18 small rocket units in the fuselage for jet-assisted takeoff (JATO). 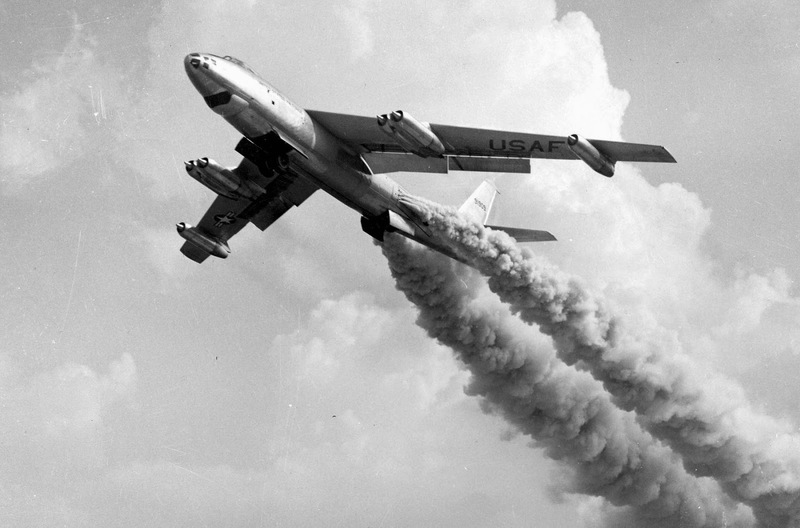 Thrust reversers and anti-skid brakes had not yet been developed, so a ribbon-type drag parachute reduced the B-47 landing speed. Once airborne, the graceful jet broke speed and distance records; in 1949 it crossed the United States in under four hours at an average 608 mph. 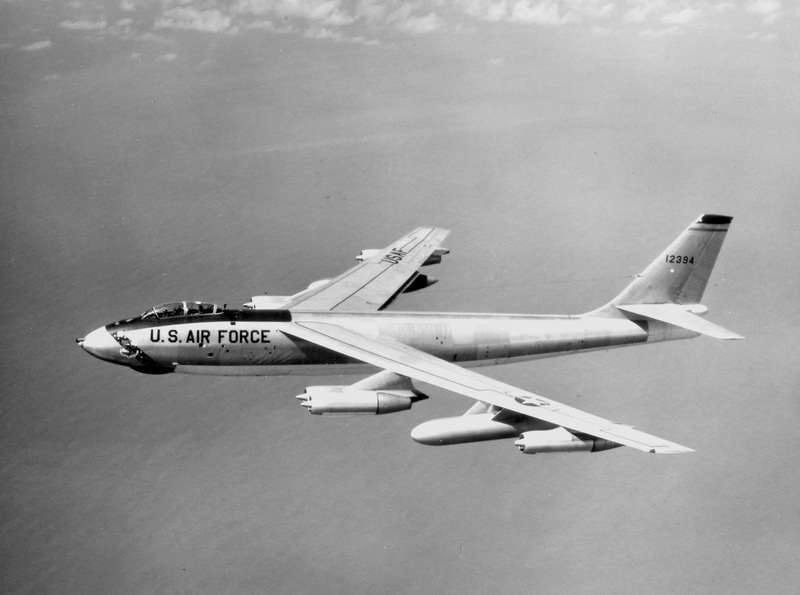 The B-47 needed defensive armament only in the rear because no fighter was fast enough to attack from any other angle. 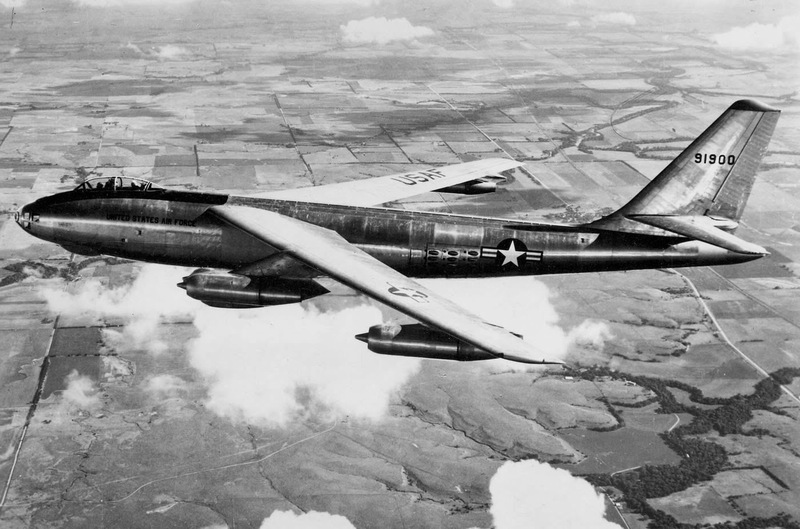 The B-47 medium bomber became the foundation of the Air Force's newly created Strategic Air Command and many were adapted for several specialized functions. One became a missile carrier, others were reconnaissance aircraft or trainers or carried remote controls for other aircraft. Between 1947 and 1956, a total of 2,032 B-47s in all variants were built. Boeing built 1,373, Douglas Aircraft Co. built 274 and Lockheed Aircraft Corp. built 385.